Recently I’ve had questions from acquaintances and friends asking how to choose a provider and/or a treatment method for their orthodontic needs. MY STANDARD ANSWER IS TO LOOK FOR AN AAO ORTHODONIST. There are many myths about orthodontists and orthodontic treatment, and finding an AAO orthodontist is the easiest way to identify that the provider is in fact a specialist in orthodontics. 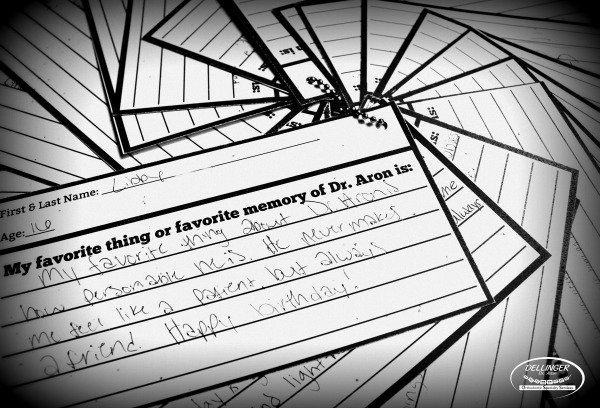 Not all providers of orthodontic services are orthodontists. Orthodontists have completed four years of dental school, AND an additional two to three years of full-time university training specifically in orthodontics. That full-time training involves intensive study of facial growth and development, bone physiology, functional relationships of the teeth and jaws, and a variety of treatment techniques...with and without the use of braces. An AAO orthodontist will know which techniques are best suited to your specific health and cosmetic needs. Many states, including Indiana, do not require the additional years of training in orthodontics for providers to practice orthodontics. ONLY providers who have completed the two to three extra years of training are eligible to display the AAO logo. 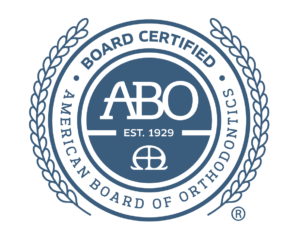 If the AAO logo is not displayed, specifically ask your provider: “Have you completed a full time university program in specialized orthodontics?” (If so.. they will have a masters degree or certificate of residency completion from that university…usually proudly on display). This additional two to three years of university training defines what it means to be a specialist. There are many treatment techniques in the marketplace that I refer to as “packaged services”, clear aligners being the most common. Clear aligner companies often generate a predicted treatment outcome for the practitioner and then provide appliances which can approximate the predicted outcome. These “packaged services” are frequently offered as the only option by the non-specialist, because the treatment course can be set by the manufacturer of the appliance, requiring little knowledge of how orthodontic tooth movement works on the part of the health care provider. There are even companies that directly market appliances to consumers, leaving the dentist/orthodontist supervision out of the equation. Realize that the “appliance” (braces or aligners) is not the treatment! Proper diagnosis of the underlying cause of your orthodontic problems is necessary to determine the most effective, healthy, and stable way to correct them. Only an orthodontist has the formal training to offer you a complete variety of treatment options which consider your health and your personal preferences. There are also “packaged service” options offering quick treatment using braces, typically six-month treatment promising to align and correct your crooked smile. Some orthodontic problems are completely correctable with aligners, and/or with six months of braces...great news! 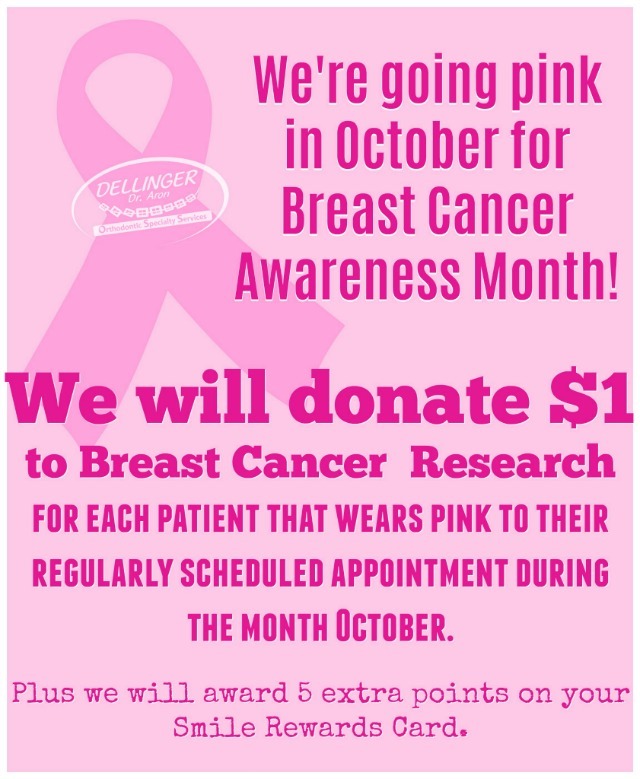 But BEWARE that providers that ONLY offer clear aligners and or six-month treatments are not likely specialists! These quick fix offerings are easy to sell, provide great profitability for the healthcare provider, and require very little training to implement (one weekend hotel course and you’re a “certified” provider). True specialists also have specially trained staff to assist in your treatment. Ask your provider about the training of their staff in addition to your questions about specialty training of the doctor. 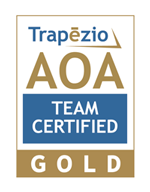 All of the clinical technicians in my practice are Trapezio AOA (Academy of Orthodontic Assisting) Gold Certified. 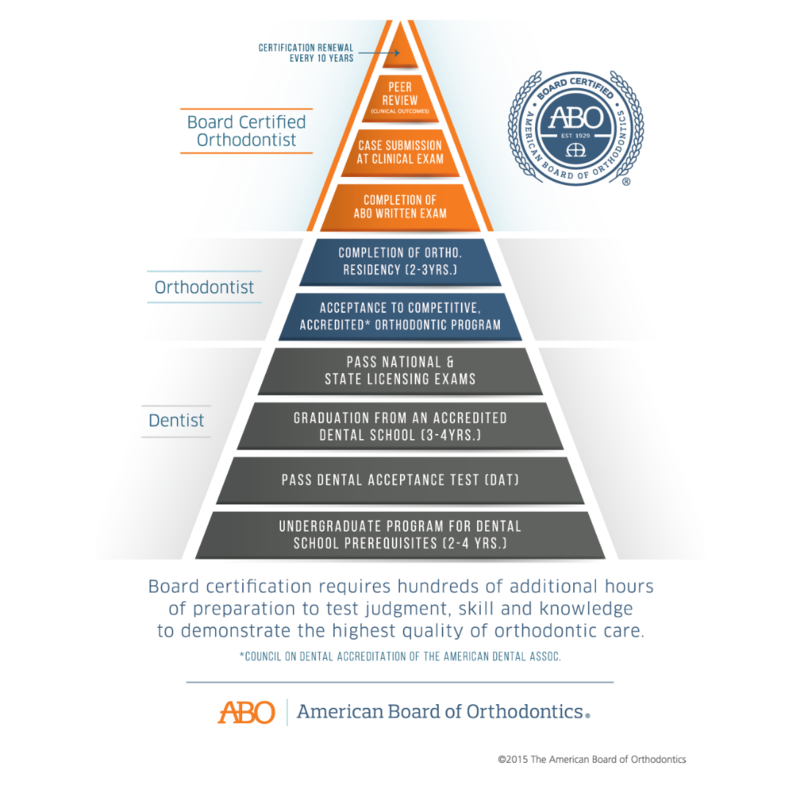 This certification demonstrates clear knowledge of a variety of orthodontic techniques and orthodontic treatment principles. In a specialist’s office, staff are expertly trained and highly skilled in performing orthodontic appliance adjustments. These skilled assistants save you time in the chair at each visit, and provide more comfortable and efficient appointments. An orthodontic assistant in a specialist’s office will perform more orthodontic appliance adjustments in one year than a typical non-specialist dentist will in a whole career!